This design was taken from a historic plate in the Bicycle® Brand archives, then updated for the 21st century. 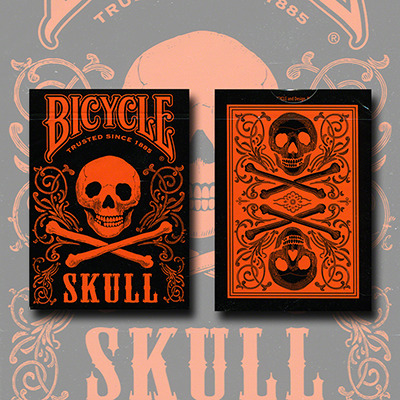 The back design is black and orange, though we kept the standard four colors on the back of the deck. Perfect for pirates, villains, or anyone whose wardrobe is bursting with black.